The 9 Best Comedy Clubs in Washington State! Washington State has an abundance of places to help you get your laugh on. Whether you like stand up, improv, or audience-involved events, Washington has some top picks for you to enjoy all of the hilarious, sidesplitting entertainment your heart desires. Here are nine of the best places to watch live comedy in the state! Jet City Improv is consistently rated one of Washington’s best for good reason! This hilarious show incorporates a variety of talent to give its audiences a unique experience every night. Coupled with an outreach focused mission, Jet City Improv also seeks to improve the area of Seattle through comedy. Attend a 40-week improv course or just come in and watch a comically dubbed movie. Coming to you live from Atlas Theater in Seattle, ComedySportz is a witty and energetic experience of improv and imagination! Totally led by suggestion of the audience, these shows will be a unique and hilarious experience every time. This lively comedy club is a standard stop for touring comedians. Come and enjoy a night of stand-up comedy while also enjoying a full drink and food menu. Tacoma Comedy Club is a classic fun and entertaining stand-up comedy experience. According to many comedy club goers, Spokane Comedy Club is the Inland Empire’s best comedy club! Featuring well-known comedians from across the nation, this club gives you some seriously high-quality stand-up shows. Unexpected Productions Improv in Seattle gives its goers some of the best spontaneous theater experiences in Washington. Offering daily improv shows that are perfect for a night out with friends, a date, or just a good time all around. Unexpected Productions in is a fan favorite! In operation since 1981, the Comedy Underground is known to be one of the most venerable nightclubs in the country. 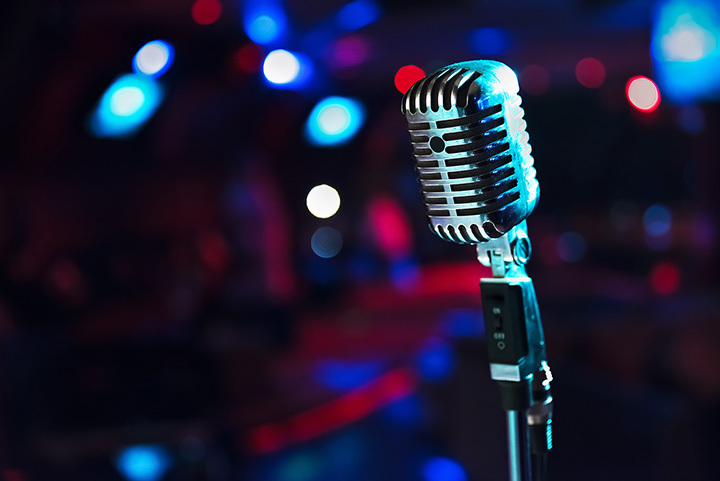 Having hosted some well-known comedians such as Louis C.K., Jerry Seinfeld, Ellen DeGeneres and countless others, you can be sure to find an amazing comedic night. The Comedy Underground offers a great selection of alcoholic beverages and a delicious menu as well. Open since 2007, Laughs Comedy Spot is the perfect casual comedy spot. Laughs has won over the crows through hilarious touring comedians, and a great vibe, combined with fantastic service of food and beverages. Come and enjoy a great night with friends or a date! Parlor Live in Bellevue gives club goers a great experience, offering mainliners from across the region and nation. You can never have too many laughs and this place will give you a double dose of laughter with their hilarious lineup. Great service and other fun opportunities like the billiards and ping-pong lounge give you a variety of fun and enjoyable options for a great night out! Comedy night at Kenyon Hall is must see! Not only does this family-friendly venue have great musical performances, such as Eddie Vedder secret shows, Kenyon Hall give its goes something to laugh about, with comedy singer/songwriters and a whole family friendly performance offered on the weekends! View more Washington Comedy Clubs.